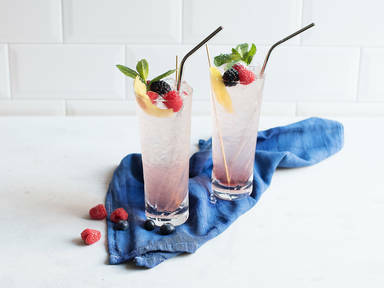 Grate the lemon zest and add with all the ingredients except raspberry liqueur into the highball glass. Add the glass full with crushed ice and stir well. Pour raspberry liqueur over the mixture. Garnish with mint and berries. Serve with a straw and enjoy!